As a traveler, I should take pride in really getting to know a city, to meeting and talking with its people and to finding its heart. Travel Confession: I love kitschy sites, kitschy souvenirs and don’t always stay off the beaten path. When it came down to deciding what to do while in Spain’s Wine Country, La Rioja, we all agreed that wine was at the top of the list, while a sub category to wine was visiting a bodega. I called around, sent emails and was delighted when we got a last-minute booking for Marqués de Riscal, one of Spain’s most famous exports. Elciego, or Eltziego in Basque, is a beautiful city in its own right. Nestled amongst vineyards, its burnt fall colors provide a dramatic backdrop to a stone medieval city whose claim to fame is the wine and the hotel commissioned by Marqués de Riscal, which was designed by renowned architect Frank Gehry. The colors chosen – metallic silver, pink and bordeaux – are representative of the wine bottle, whereas the wavy steel plates and pale stone pillars are meant to represent a vine before harvest. Built as a millennial addition to the winery founded during the mid 19th century, it seems to blend in with the history while looking forward to the future. We signed up for a 90-minute tour of the bodega, which took us first to the newest installations, then past their ancient fountain – outfitted with a digital clock and weather reader – and into their oldest cellar. The damp, musty smell and little light protects their oldest editions, which mustn’t be uncorked. A small butane stove is used to heat a metal ring, then cold water is applied, breaking the glass and allowing the wine to be poured. As someone who loves the craft of writing and is a geek about it, I think I could geek out about wine if I got to learn more about it. Sadly, we were tired after the previous night’s antics and in search of a bed. After our two glass of wine, we dipped out and back to Logroño. 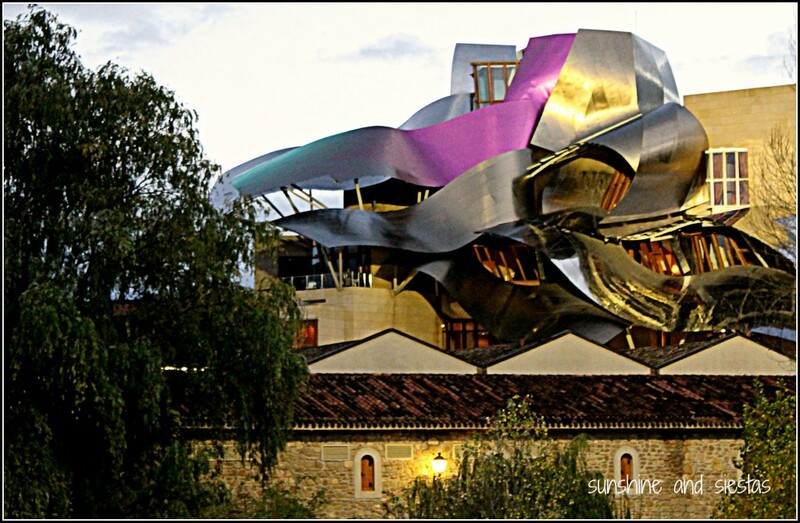 If you go: Marques de Riscal bodegas are located in Eltziego, just 15 kilometres from Logroño. It’s actually in the Basque region, and not La Rioja! To take a tour, which are available every day of the year, making a reservation through email or over the phone is a must. the tour included a tasting of two young wines and runs 10,25. More information and contacts can be found on Marques de Riscal’s webpage. 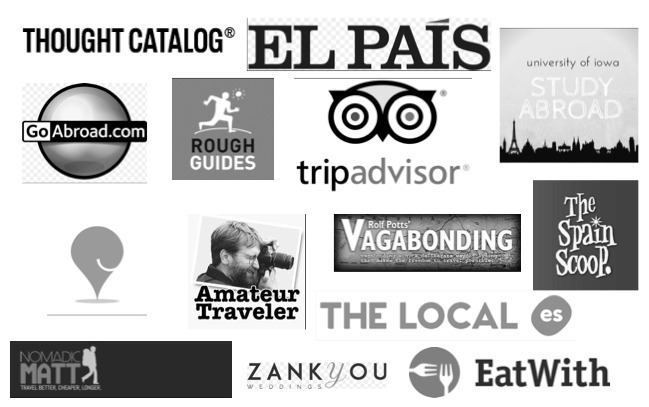 Tours can be done in English, Spanish, French, German, Italian and even Russian. The design of that hotel is extraordinary! I can easily geek out about wine and sometimes, even about architecture. Visiting Elciego/Eltziego would definitely satisfy. Thanks!